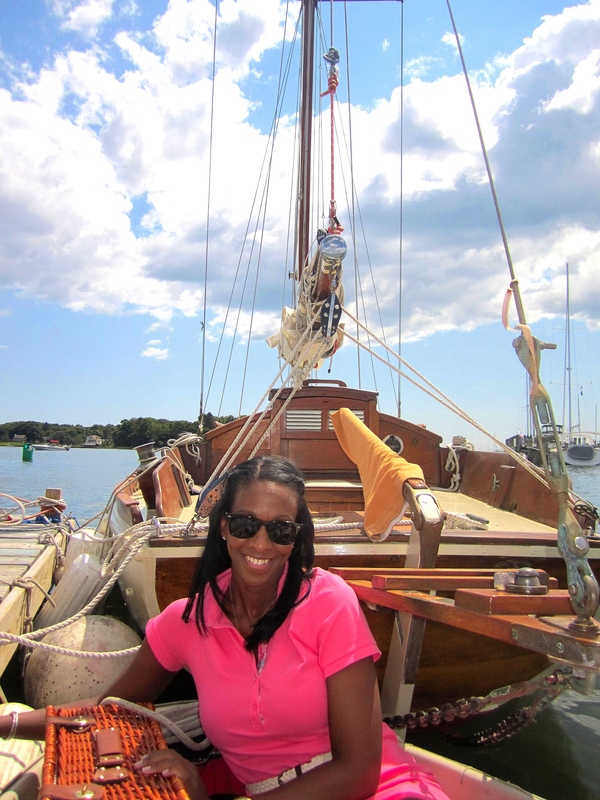 This weekend brought beautiful weather as well as a trip up to Stonington, CT.
A few weeks back, I invited a few friends to join me in another sailing excursion. I figured, while getting more time under my belt practicing Tacking and Jibing, why not have my girls join me. We hit the road relatively early (I ran 20min late). Unfortunately, once up in CT, we hit traffic on route 95. Not to worry, we stayed entertained with good conversation and fun music. Here’s a peek in to our day. 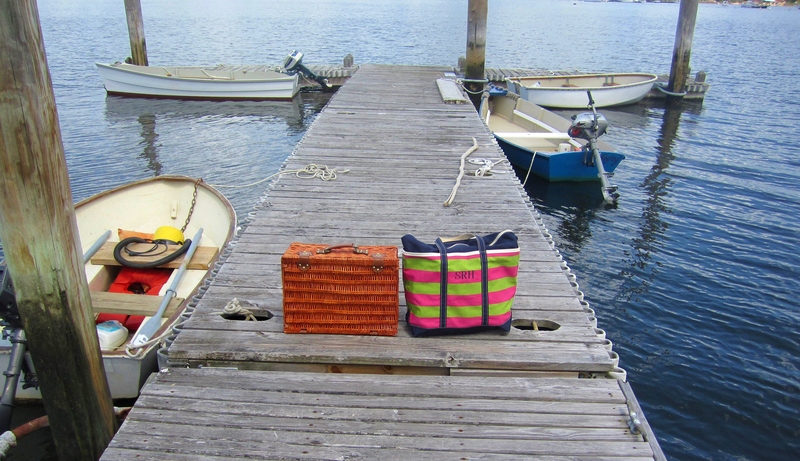 Pier1 Picnic Basket / L.L. Bean Monogrammed Large Tote. Short launch to the boat. Always have a little something for your guest. Cheese, crackers, fruit, champagne and customized koozies. Stuart (captain) and I can’t believe two sailboats are cutting each others at the nose. Now back on land, the pre-dinner shenanigans start. 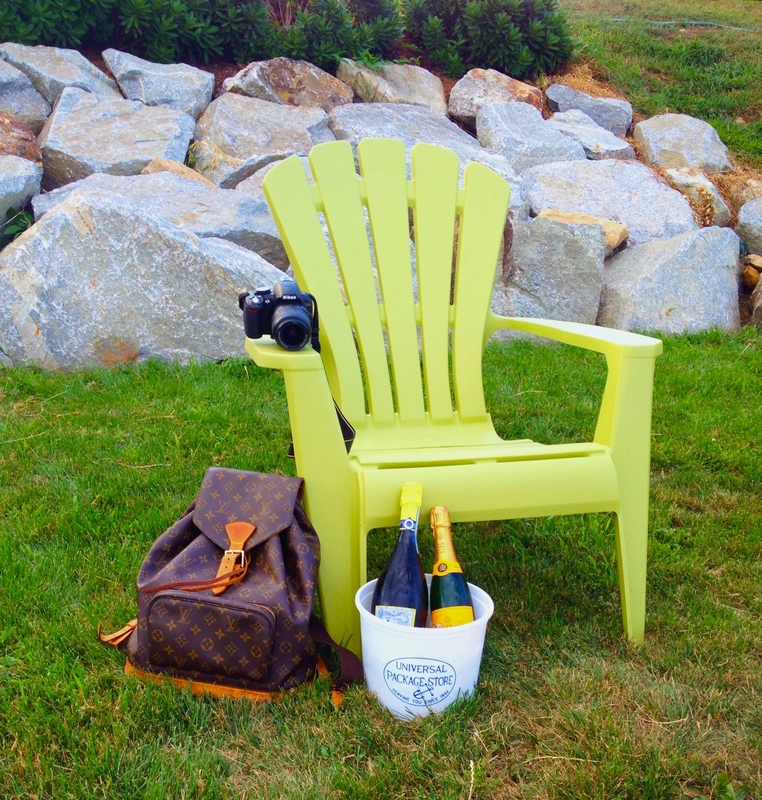 What to do when you have a 90 minute wait at Ford’s Lobster for dinner…. Open more presecco and champagne. 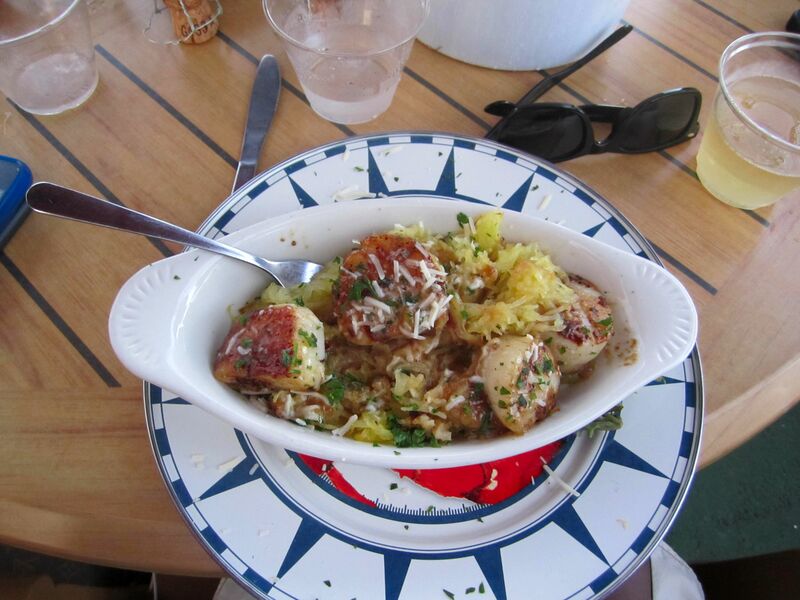 Spaghetti Squash with Caramelized Scallops Goodbye whaler, until next time. Heading back to NYC now. This looks like a lot of fun! Nice post! It was so much fun! 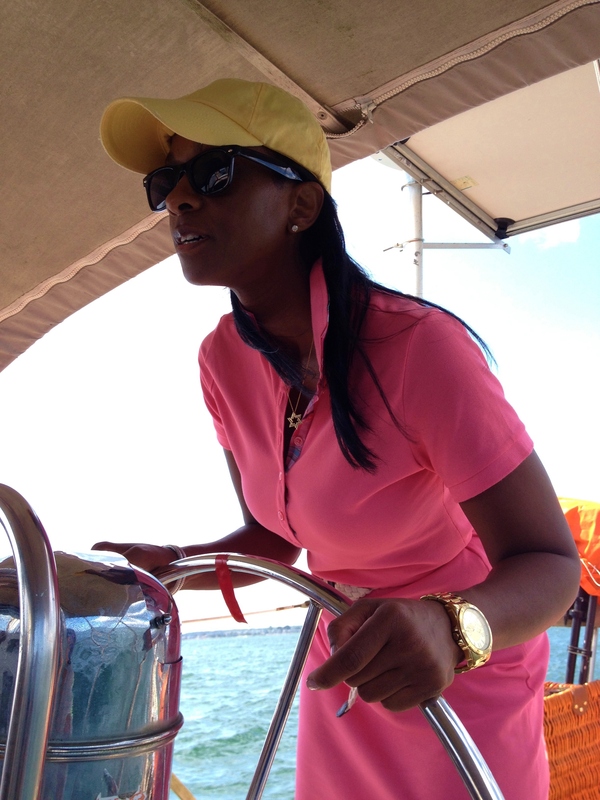 I love sailing! 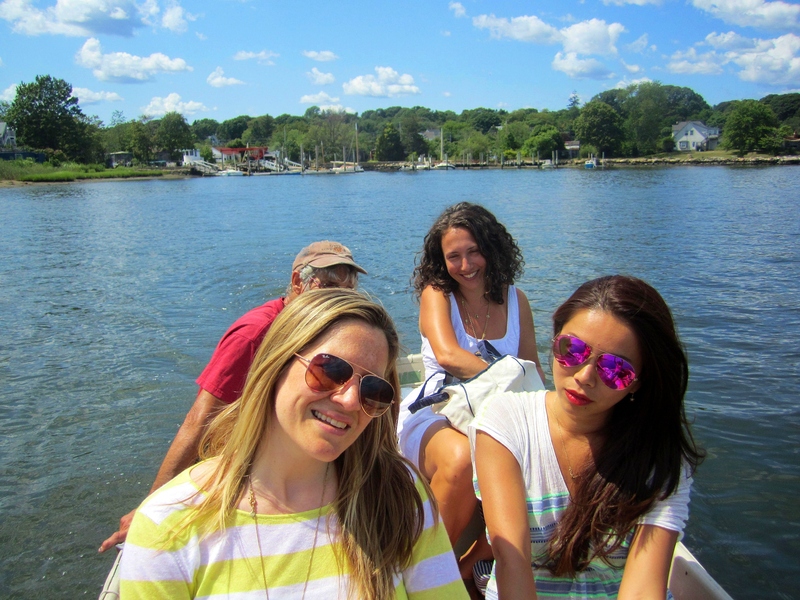 Any time I can up to CT & charter a boat… I do. Almost close to becoming ASA certified. Yippee! It looks like you had such a fun weekend! 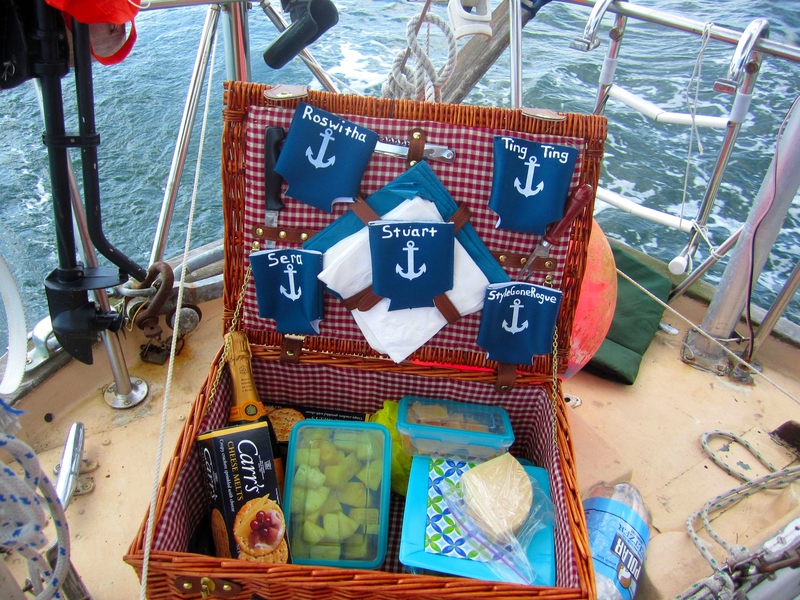 The picnic basket and personalized koozies is such a sweet and thoughtful touch. 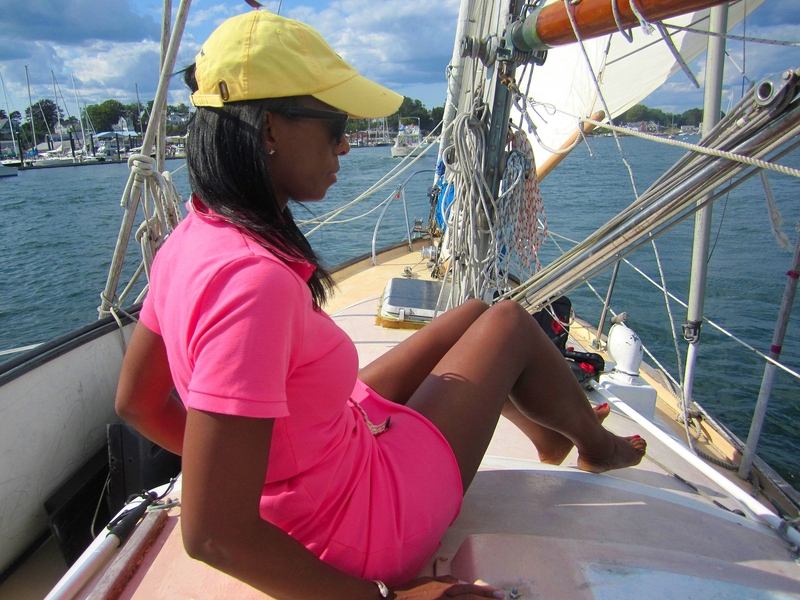 Now I’m really itching to get out on the water, I haven’t been sailing once this summer. We did. Koozies, I love personalizing them for my summer share as well as our ski house share. As for getting out on the water, it’s a must. Make every effort to scheduling some time to get out there before the summer is over. I plan to get out 2 more times in September & then I’m done for the season. Thank you so much for visiting my blog. Happy to hear you like it. Please visit again as I post every Monday. I looked at your blog as well. I made a little note on you sailing post as well. Love your dress. Ummm I am totally crashing your party next time, this looks like so much fun! lol. The more the merrier. The one requirement, one snack / one bottle of presecco or champagne. Oh, and a fun attitude. Thank you. It was another fantastic day on the water for sure. 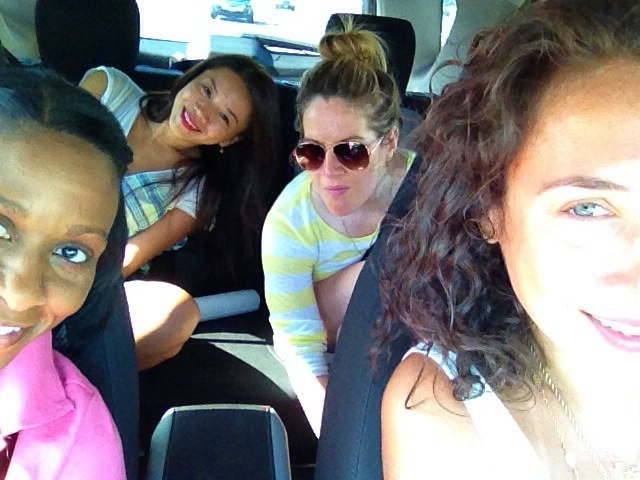 Looks like you gals had a great time! We mostly certainly did. Thanx. It totally was. 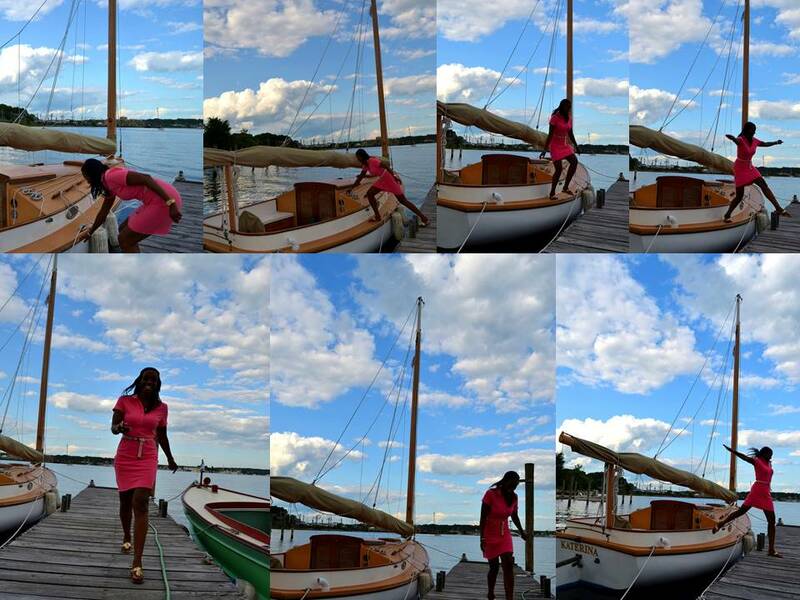 I always have fun sailing. That looks like you had an amazingly fun time! We really did. I love being on the water. I had another perfect day. Love girls only week end ! Aren’t they the best. Car ride conversations are so open, honest & funny. I love it. Yes, the girls had a great time. Thanks for visiting my blog, keep coming back!! Thank you. I’ve been taking lessons for 2yrs now. I hope to be a professional level some time in the near future. This looks like such a blast!! 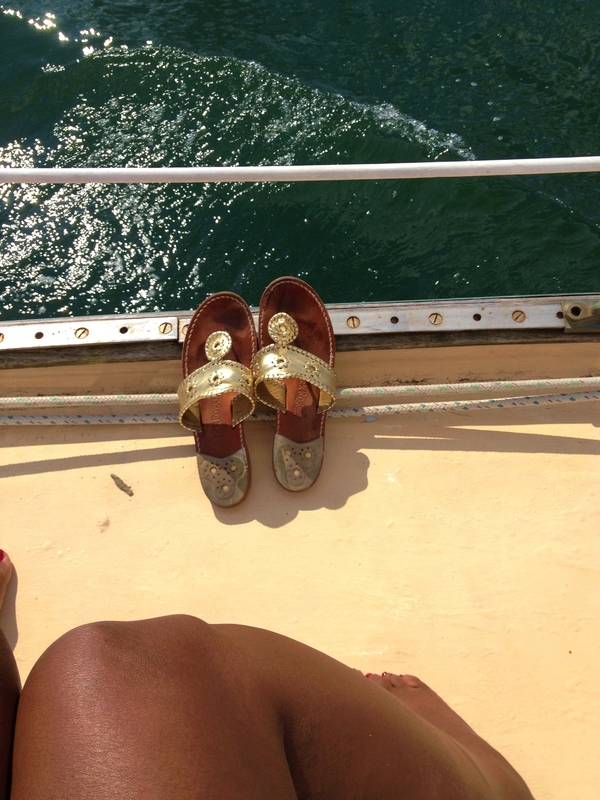 Love your preppy style, so perfect for a boat day 🙂 Lovely photos! Thank you so much. I’ve been enjoying your blog as well. Ha! The food & champs was the highlight. Thanks for visiting my blog. 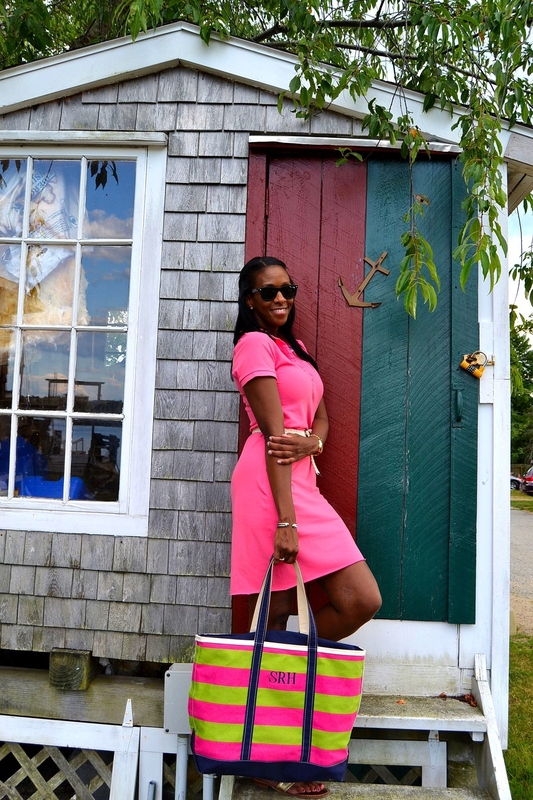 I’m a sucker for anything monogrammed–so that LL Bean tote needs to get in my closet!! Not relaxing at all, unless you’re my guest. 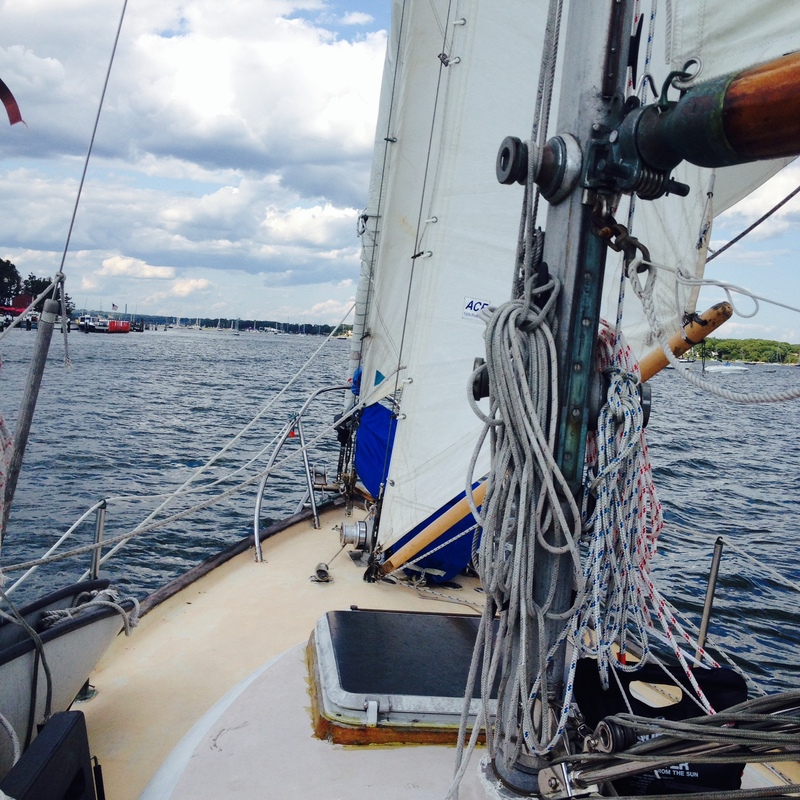 Sailing (being skipper) is a lot of work. But I love it. Lovely! 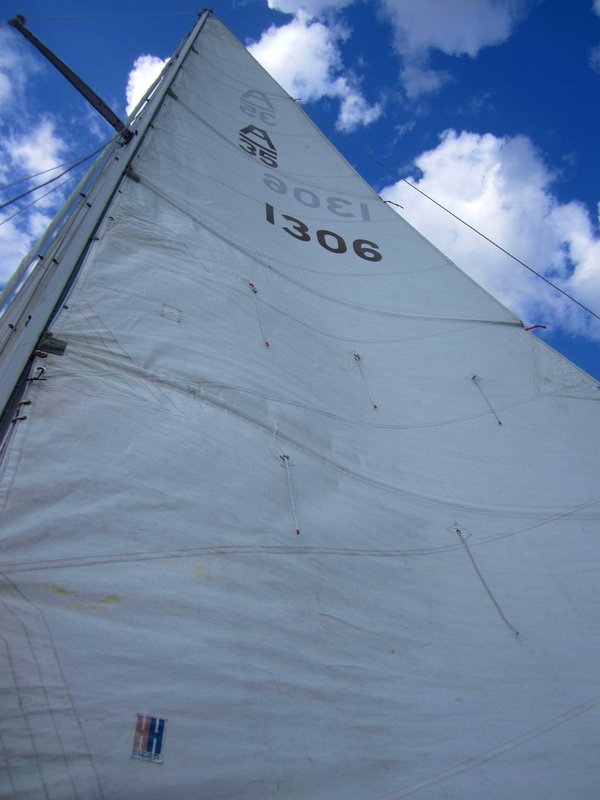 I would love to learn how to sail and this post has furthered my inspiration. Great pics! Well, don’t let anything stop you. You’re in Boston, there are multiple sailing schools that are excellent. I know 2 sailmasters up there if you’re sriously interested in taking lessons. If not, just charter a boat with some friends & enjoy the day. 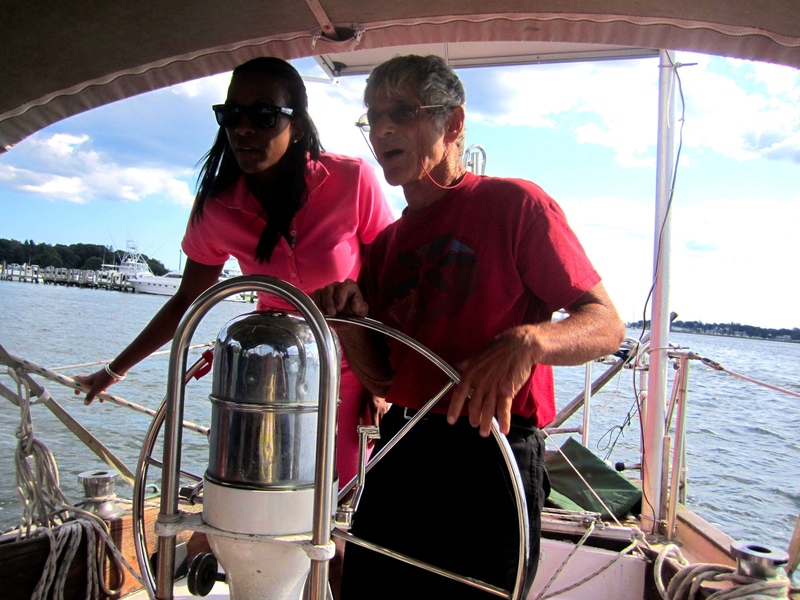 Not sure about up by you but down here in NYC and/or CT area stop chartering around the end of October. Thanks for visiting. This looks like such a fun day!! You’re correct. So much fun. Thanks. It was a lot of fun. More fun for my friends as they were along for the ride. I was doing a lot of work as I’m trying to get ASA certified. Looks like fun. I love the customized koozies, thank you for sharing. So much fun. Koozies are my thing. Customized…even better. OH my goodness this looks so dang fun! looks like my kinda weekend! A ton of fun. Must enjoy it before it gets too cold out there & it’s uncomfortable to be out there. You must change that soon! It’s beautiful out there. I’ve been sailing for 2yrs now, no turning back now. Great photos. Looks like you had so much fun. Love the pink dress on you! Thank you. It’s actually my moms dress. It was ankle length. Who wants an ankle length polo dress. Ha. That looks like such a fun trip! I would love to learn how to sail. 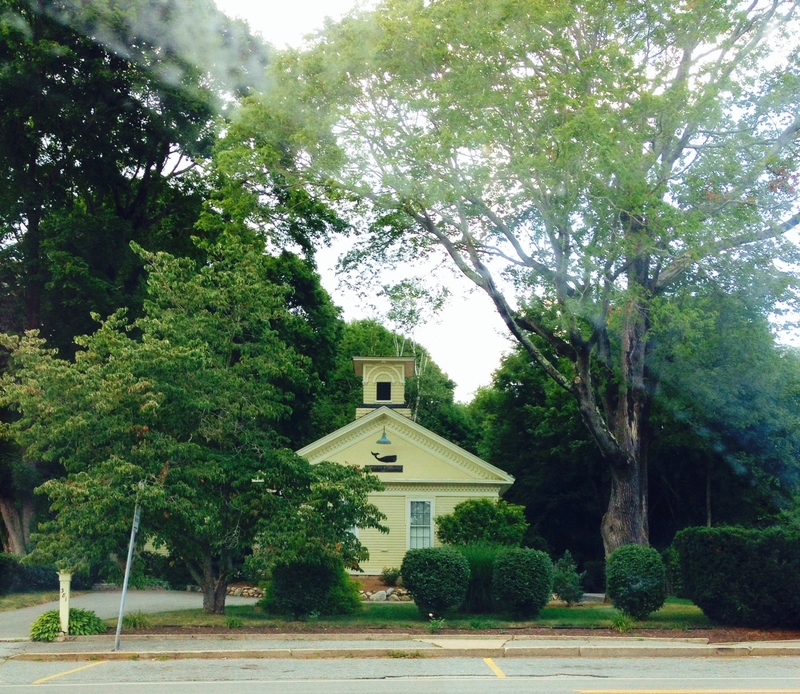 I hope to get out to stonington before the end of the summer, I’ve heard it’s such a cute town. You most certainly should try. Mainly before it gets to cold on the water. Stonington, Noank & Mystic are all quaint little towns. Thanks for visiting my blog. Please visit again, new post every Monday.